magazine and is part of a new feature AdNews introduced last year called Spotlight. Support AdNews by subscribing here. With TV ad spend in decline and some networks looking to bolster their earnings from alternate revenue sources, what’s keeping eyeballs on screens? AdNews looks into the rising world of Broadcast Video On Demand to see if it holds the answer. Ask anyone in media and they’ll tell you the TV landscape is undergoing significant change. The decline in linear broadcast viewing has had a direct impact on advertising revenue for the major networks as more viewers look to ad–free, streaming platforms like Netflix as the bingewatch epidemic has firmly taken hold. In addition, other online video players such as YouTube and Facebook have continued to drag eyeballs away from the traditional TV set. Despite this, there is a rapidly emerging medium that looks set to support TV and provide advertisers and broadcasters with a new and consistent revenue stream. Broadcast Video On Demand (BVOD) has arrived and, in a nutshell, encompasses the catch–up services from the major Australian TV networks. However, every network is different. Mandatory sign–ins, where a user is required to input a level of personal information, including date of birth, email and location, to view content is a point of difference. Nine was one of the first to launch the strategy, with SBS following suit. However, both Ten and Seven have opted not to adopt this approach, allowing viewers “limited” access to their respective platforms when not signed in. 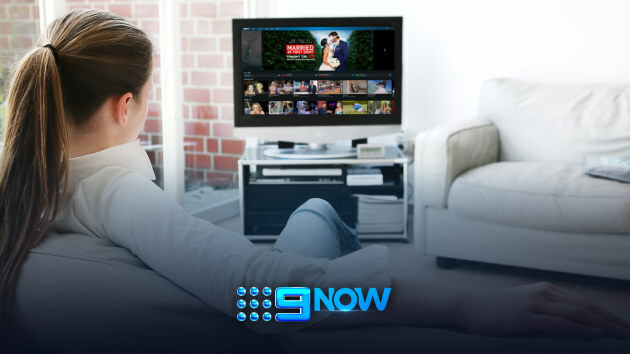 Each network has expressed its intentions to improve on its BVOD product over the course of the year, with Nine first out of the blocks, introducing dynamic ad insertion for its platform, 9Now. As to how the networks view the future of BVOD, Nine director of sales strategy and product commercialisation, Pippa Leary, told AdNews it was about conveying to the market that the platform is no longer just an add–on, but an online ad channel in its own right. She said agencies and clients should now see this channel as a means for TV advertisers to experiment. “For the first time, they can be running differential creative through BVOD, hitting different target segments and getting real–time data back from how it’s performing,” Leary said. Reflecting on how agencies are embracing the medium, Seven network digital sales director, James Bayes, said it varies depending on the agency, with each at a “different stage of maturity”. He said some treat it as an extension to digital video, whereas others look at it from a different perspective and potentially see it as “the future of TV”. “As far as mature ad markets are concerned, Australia is head and shoulders one of the fastest growing BVOD ad markets in the world,” Bayes said. He said while the growth is “outstanding” and more viewers are adopting this way of viewing, Seven remains unchanged on its stance toward mandatory sign–ins. Ten, which refuses to make sign–in compulsory, said its focus for 2019 would be on data and “rebuilding” the 10Play platform itself, strengthening advertiser capabilities. The network previously admitted it “had been behind” when it came to its data strategy through BVOD. Ten head of digital, Liz Baldwin, told AdNews it is important for the platform to be rebuilt, adding that consumers would see a whole new 10Play site this year. Baldwin said a platform underpinned by “strong data quality and transparency” was vital to the success of BVOD as more agencies begin to look for enhanced targeting and audience segmentation offerings. “Strength in data is key when we talk to agencies as we want them to engage with us with confidence that we are operating with full transparency. We need to ensure our data is not getting muddied by the conversations they might be having with social platforms,” Baldwin explained. The outlier in the BVOD discussion is Foxtel, which operates varying services that provide BVOD capabilities, including Foxtel Now and Foxtel Go. Each of these operate on a separate paid model. 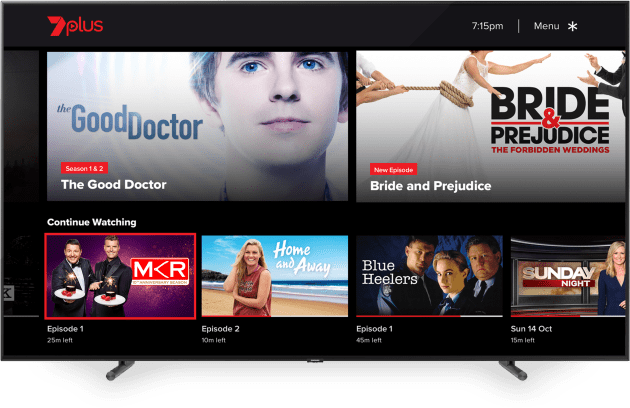 Foxtel Now is a subscription service that has ads on Telstra TV, while Go acts as a partner product to a traditional Foxtel subscription and features ads during normal channel viewing and during catch–up programming. Managed by MCN, Foxtel’s ad sales strategy has a completely different approach to its free–to–air counterparts. According to MCN director of advanced advertising, Nev Hasan, Foxtel has to find the “right balance” with its BVOD advertising, as the pay TV subscriber positions itself as a “premium product”. MCN, he said, is now tweaking Foxtel’s BVOD ad load as the business needs to be “mindful” of consumer expectations. Hasan added that agencies also need to look at Foxtel’s BVOD platforms as “companion” platforms that should be included in any buy made with the business. A major complaint with BVOD across all networks is often ad repetition and clunky transitions between pre–roll and mid–roll throughout content on the platforms (see cartoon p25). Despite each network having alternate strategies when it comes to delivering their product and data, all agreed the real challenge for the medium is escaping the shadow cast by other digital video platforms such as YouTube. Bayes and Leary agreed the service BVOD provides allows brands to appear in a targeted and brand–safe environment. But, Ten chief sales officer, Rod Prosser, said even though it would like to be seen as different from the typical digital video buy, it should still come out of the same ‘pot’ within agencies. “It shouldn’t be coming out of the television pot so to speak, because it’s effectively a digital buy,” Prosser explained. Big brand sectors including FMCG, automotive and finance, have all invested heavily in BVOD. As the networks continue to push for greater agency engagement with their respective BVOD platforms, the question turns to media agencies and how they view the evolution of the medium. GroupM digital strategy and investment officer, Venessa Hunt, said aside from the obvious brand safety and viewability benefits that came with linear TV, digital still seemed to be better at delivering brand affinity. As TV enters its “new era”, Hunt said, BVOD has allowed for the “best of both worlds”. “We have come to expect a custom ad experience online and as the ads in BVOD begin to be dynamic or customisable, and targetable by audiences, we will see a shift and growth in BVOD and specifically connected TV investment,” she said. While agencies are searching for further capabilities, broadcasters are currently working towards delivering more ways to target audiences beyond age, sector and location. PHD head of digital Sydney, Amelia Ward, said when looking at BVOD from a planning perspective, it enables advertisers to reach light TV viewers and gain incremental reach against their broadcast TV buys. Having a structured AV strategy that includes the medium in the mix is valuable for clients, Ward believes, but it needs to be weighed up against the higher CPM costs and the effective value to clients. “Some clients who are purely going after cost–efficient reach won’t be as prolific in the BVOD space and are more likely to stick with other online video channels,” she said. Amplifi ANZ head of investment, Ashley Earnshaw, agreed and emphasised the market should stop viewing BVOD as purely incremental reach on a campaign. He said clients were now going as far to target the 16–24 age bracket with it first before then turning to TV advertising to generate further reach. “There are three ways I see BVOD being used. 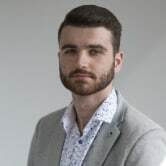 The incremental reach side of things; the use of BVOD as a foundation for targeting younger viewers; and then the third area where you’re data targeting around the proposition where we’ve got intent–based and data–led audiences,” Earnshaw explained. Even though more clients are seeing the value in BVOD, Earnshaw said the networks still need to “simplify the offering” and create one market standard for measurement. Bohemia head of media and investment, Theo Zisoglou, agreed and added there were still some hurdles to jump, but admitted he could see it becoming as important as typical TV viewing. “The reality is BVOD could potentially be as important as TV viewing for broadcast campaigns in the future as we are seeing consumption not limited to mobile or in transit to work,” Zisoglou said. Zenith Australia CEO, Nickie Scriven, said she only sees the upside of BVOD, revealing she personally expects the market to double its key metrics in 2019. As it continues to see mass adoption and further opportunity in the market, she said the question of its success boils down to how agencies create quality production for clients cost–efficiently. “That will bring more advertisers to that platform where they might not have felt that they can afford TV,” Scriven explained. With agencies keen to get a universal form of measurement across BVOD and linear TV, that includes overnight and national viewers, OzTAM and Nielsen are also set to launch Virtual Australia (VOZ). The platform, announced in July 2018, will bring together audience data from TV sets, including connected TV, as well as streaming viewing and BVOD. VOZ will also be designed to offer both parties a system to manage de–duplicated audience reach and frequency goals in their Total TV campaigns. a natural channel inclusion whenever video is included in a campaign. “This is a massive advantage to other video formats as clients want to see what each format is contributing to their campaign,” he said. Ward explained that agencies will expect to have greater control over frequency, with the ability to regulate messaging impact, drive effective reach, and minimise wastage of precious media budget. She said cross–device view will also enable them to understand the impact of incremental BVOD reach, especially within media mix modelling and attribution studies. This first appeared in the AdNews April 2019 magazine and is part of a new feature AdNews introduced last year called Spotlight. Support AdNews by subscribing here.